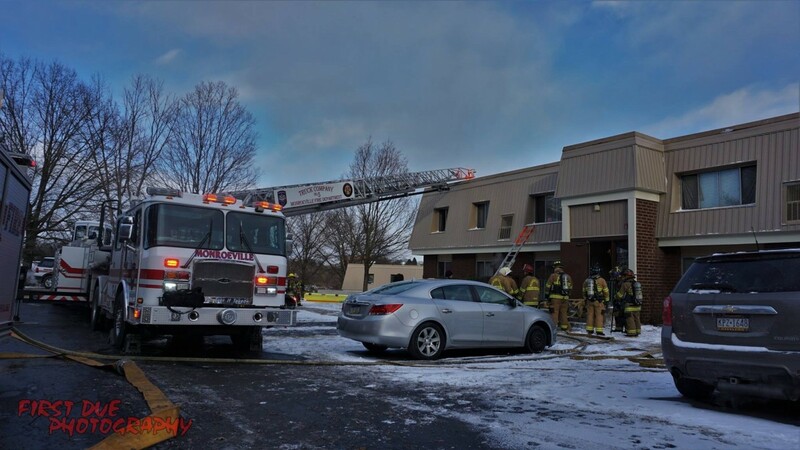 As temperatures fell to negative with record cold wind chills, Monroeville Fire Department units were alerted to Cambridge Square for smoke in an apartment. Upon arrival, smoke was showing from side Charlie, and a fire was discovered in a different apartment from the one that reported the smoke. Due to conditions, a second alarm and mutual aid was requested. The fire was quickly extinguished. This particular building was the site of the major fire in 2006.